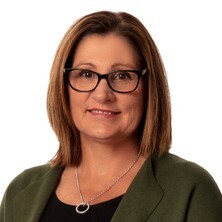 Lorraine Mazerolle is an Australian Research Council Laureate Fellow (2010–2015), a Professor of Criminology in the School of Social Science at the University of Queensland, and a Chief Investigator with the ARC Centre of Excellence for Children and Families over the Life Course (LCC). Her research interests are in experimental criminology, policing, drug law enforcement, regulatory crime control, and crime prevention. She is the Editor-in-Chief of the Journal of Experimental Criminology, past Chair of the American Society of Criminology’s (ASC) Division of Experimental Criminology (2014–2015), an elected Fellow and past president of the Academy of Experimental Criminology (AEC), and an elected fellow of the Academy of the Social Sciences, Australia and the American Society of Criminology (ASC). Professor Mazerolle is the recipient of the 2018 ASC Thorsten Sellin & Sheldon and Eleanor Glueck Award, the 2016 ASC Division of Policing Distinguished Scholar Award, the 2013 AEC Joan McCord Award, and the 2010 ASC Division of International Criminology Freda Adler Distinguished Scholar Award. She has won numerous US and Australian national competitive research grants on topics such as third party policing, police engagement with high risk people and disadvantaged communities, community regulation, problem-oriented policing, police technologies, civil remedies, street-level drug enforcement and policing public housing sites. What impact do police programs that seek to increase community connectedness have on attitudes and beliefs related to violent extremism? Controlling social disorder using civil remedies: Results from a randomized field experiment in Oakland, California. Insurance and Social Control: New Dimensions of Policing and Crime Prevention. Surrounded by violence: how do individual perceptions and community context shape views about violence? Neighborhood social ties and shared expectations for informal social control: do they influence informal social control actions? Examining the Vulnerability of the Elderly to Criminal Exploitation. Police investigation of serious violent crime: what works, what doesn't, and for what crime types? Diversity and trust: Do changing immigration patterns negatively impact social capital in urban communities? Ethnic heterogeneity and ‘hunkering’: Do changing immigration patterns influence collective efficacy and reciprocated exchange? The economic framework of different policy options: Key elements of "Project Stop"
Investigating Serious Violent Crime: What works, what doesn’t and for what crime types? Investigating serious crime: What works, what doesn't and for what crime types? Youth gang violence in developing countries: a systematic review of the predictors of participation and the effectiveness of interventions to reduce involvement. The development of a transportable computing facility for research engagement & research training. Skill acquisition, transfer and application: A study of investigative interviewing training in the Queensland Police Service. Policing and collective efficacy: The way police effectiveness, legitimacy and police strategies explain variations in collective efficacy.